In 2010 Mark Dore and Dale Minney purchased the business from Neville Brayley, who operated the business since purchasing it from Donald R. Hayes in 1984. Mr Hayes had been practising in the Hamilton area since the early 1950’s. 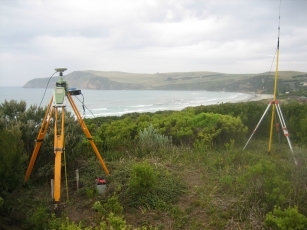 Brayley & Hayes' main source of work is in the area of cadastral surveying. This includes subdivisions and other boundary definition surveys. In undertaking land subdivisions, whether 2 lot rural subdivisions, unit developments or large multi-lot estates, the company liaises with owners, legal advisers, planners, engineers and officers from Land Registry as appropriate. The company undertook the subdivision for the Princes Heights subdivision on Harrington Road in Warrnambool and are the surveyors for the subdivision to the rear of Gateway Plaza, and also the Lakes Edge Development in Hamilton. The company is also engaged on a regular basis by the Office of Surveyor General to undertake surveys of Crown Land for the issue of Crown Grants. These surveys have ranged in size from small Road Proclamations to the large pine plantation surveys (covering 1000's of hectares) for the Victorian Plantations Corporation and other private plantation developers. The company enjoys excellent working relationships with the Authorities and people it deals with. In recent years the company has carried out Feature, Level and Building surveys of sites such as the Hamilton, Portland, Heywood and Edenhope Hospitals. These surveys were used for feasibility studies and design work for subsequent redevelopment. Brayley & Hayes has also undertaken Feature & Level Surveys of both the Junior and Senior Campuses of the Hamilton & Alexandra College. This data has been used for the re-development and subsequently updated to ensure it remains current. We also completed the route survey from Coleraine to Casterton for Wannon Water, to allow design and construction of the recent water supply pipeline. Route surveys for local municipalities e.g. Southern Grampians Shire Council, of road reserves for road and intersection re-design are frequently undertaken by the company. The data can be presented in both hard copy and digital format for uploading onto the consulting engineer's or architect's software. Brayley & Hayes did all investigative survey work for Hamilton's water supply (the 1200 million litre Hayes Reservoir completed in 1993), for Wannon Region Water Corporation. This project spanned ten years, and involved the levelling of sites in the Grampians and five other plains storage sites. Rigorous A.H.D. & A.M.G. control surveys were performed for these sites. We also undertook the engineering control of the construction of the reservoir, including earthworks volume surveys and continue to do accurate monitoring of settlement of the bank. The reservoir was named in honour of the company’s founder, Mr. Don Hayes. 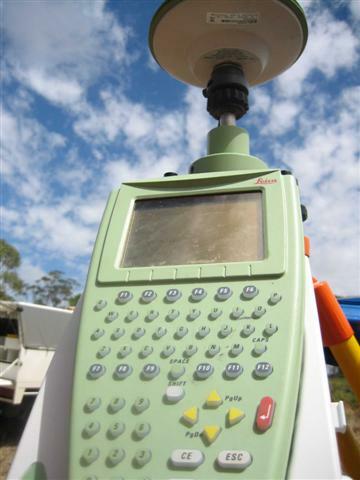 The company is a leader in the field of using GPS equipment for use in cadastral surveys. The company has as clients the Shires of Glenelg, Moyne, Southern Grampians and West Wimmera, local water authorities, the Office of Building and both major and minor engineering companies. Brayley & Hayes currently use SPEAR for electronic lodgement of documents to municipalities and the Land Titles Office. Licensed Surveyor, B. Surv. (Hons.) (Melb.) Graduated 1982, M.I.S. Vic. 3½ years - Lands Department (Melbourne and Hamilton offices). Commenced employment with Brayley & Hayes Pty. Ltd. February 1989. Has lived in Dunkeld for most of his life. Licensed Surveyor, B. App. Sci. (Surveying) Graduated 1988 with Distinction, M.I.S. Vic. 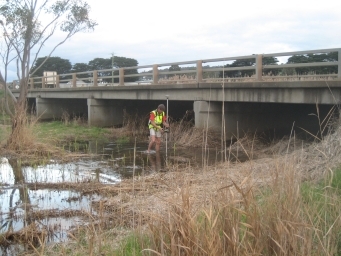 3 years surveying in Warrnambool. Commenced employment with Brayley & Hayes Pty. Ltd. in 1989.